Who here has heard of Influenster? For those of you who have not heard of Influenster before, it is a platform to read and write reviews on your favorite products. Not only can you review your favorite (or least favorite) makeup items, but you can review body care, skincare, food, apps, or even toys! Reviewers will receive badges for the reviews they write in different categories. In addition to these badges, users are asked to connect their social media platforms (Facebook, Twitter, Instagram, etc. ), which helps determine a user’s ‘Impact’ score. All of these badges and ‘Impact’ scores eventually will help you receive a ‘VoxBox’ in exchange for reviews. A VoxBox will contain free product ranging from makeup to food. There’s so many opportunities and the more products you review, the bigger chance you have of receiving a GREAT VoxBox. I’ve been using Influenster for around two years now and have received some great stuff. 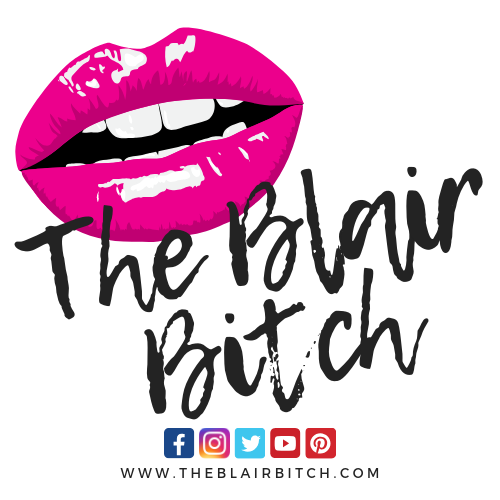 For those of you who have been following on me on Instagram prior to this, you may have seen some of my posts featuring BECCA Cosmetics, bareMinerals, Gillette, and more. Influenster is free to sign up for and is a great way to try out some new products. If you’re interested in signing up, please feel free to use my referral code and start reviewing today by clicking here! Normally, I REALLY don’t like altering my skincare routine, because I have always battled bad breakouts (check out my Top Skincare Items post here). I’ve been adding these items into my routine slowly, to see how well they work for my skin and if they induce any more breakouts. Peter Thomas Roth Potent-C Power Serum – After washing and toning, I’ll apply a small amount of this serum all over my face. I’ll admit that when I first started using this, I was not a fan of the applicator or the consistency of the product. The last serum I used in my routine had a pump applicator, which made it easy to use the entire product. This serum has more of a dipstick applicator, that requires you to just slick the product off and onto your hand. The consistency almost feels a little grainy and I can only describe it as a watery lotion almost. Besides these slight hiccups, I really like the product so far. I have noticed that my skin has gotten much smoother and does not appear shiny throughout the day and my skin actually feels healthier. This product is great for improving fine lines, wrinkles, uneven skin tone, and brightness of the skin and is suitable for all skin types. The directions do suggest using the serum twice a day, but I only apply in the morning and stick to a strict nighttime routine currently. Peter Thomas Roth Potent-C Power Eye Cream – I’ve always been so skeptical of eye creams over the years, but have found that they are actually really helpful. Working at The Body Shop taught me that the skin under and around the eye is different than the skin on the rest of your face. It is more sensitive and is actually thinner, which is why it is good to use a different moisturizer for around your eyes. Again, I am not a huge fan of the applicator, or lack thereof, for this product. It seems as though I’m going to be doing a lot of smacking around of the container when it comes to the last of the cream, which honestly is a huge turn off for me. I’ve used this product very few times, but I really like the the texture and consistency of this. A little goes a long way and it leaves the area around my eyes feeling extremely smooth. After more uses, I will post more thoughts and results pertaining to puffiness and dark circles. Peter Thomas Roth Potent-C Power Spot Brightener – Out of the three products I received in this VoxBox, I have used this one the least. The name itself, sounds good enough, but I just haven’t had a need for it recently. I feel like this line is definitely designed for an older audience, but I am a big fan of taking preventative steps for my skin now, opposed to dealing with dark spots and fine lines later in life. This product is designed to help with uneven skin tone, dullness, and dark spots. I have some acne scarring on my chin and have been using this treatment for those spots. This product will be much easier to fully use, as it has to be squeezed out of the container. It left my skin feeling very smooth, but a little oily, although my skin does not appear oily. This could also be a result of my chin just naturally being oily. I will post more thoughts and results after more uses. All in all, I think these products will be very promising. I haven’t had any sudden breakouts or reactions after using them so far and can admit that my skin is feeling softer after just a few uses. I’m hoping to see some great results and will keep you all posted over the next few weeks. What are your current skin concerns and what do you look for in your skincare products to treat those concerns? Let me know in the comments and don’t forget to sign up with Influenster today, if you want a chance to receive some free products like the ones in this post! UPDATE (8/22): After a few days of using the Spot Brightener on my chin (the area I considered may benefit from the use of this product the most due to slight acne scarring) I have bumps and a few breakouts. Whether or not the breakouts are caused from the product I am unsure. My chin normally breaks out, but these breakouts looked red and were close to my lips (which never happens). I also wanted to correct my previous statement about the applicator for the Eye Cream. I was originally unscrewing the entire cap/applicator (dispenser?) off of the product, but slightly pulled the cap off the other day to realize this product has a pump. I don’t like to put too much product around my eyes, as they are super sensitive, so I have been doing half a pump to cover both eyes.